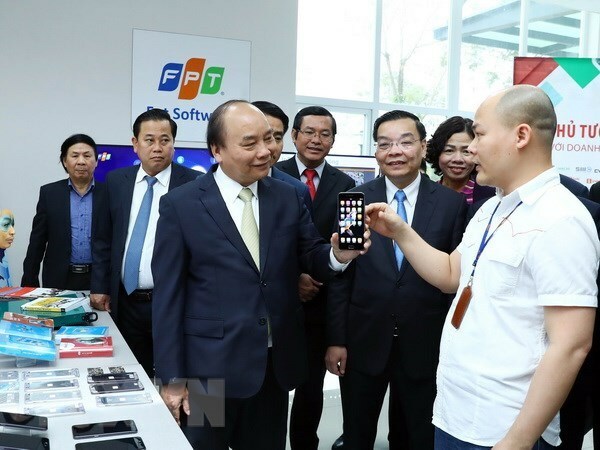 Hanoi (VNA) – Prime Minister Nguyen Xuan Phuc has expressed his wish that the Hoa Lac Hi-Tech Park in the outskirts of Hanoi will make great contributions to the fourth Industrial Revolution and serve as a place where Vietnam’s startup ecosystem is formed. 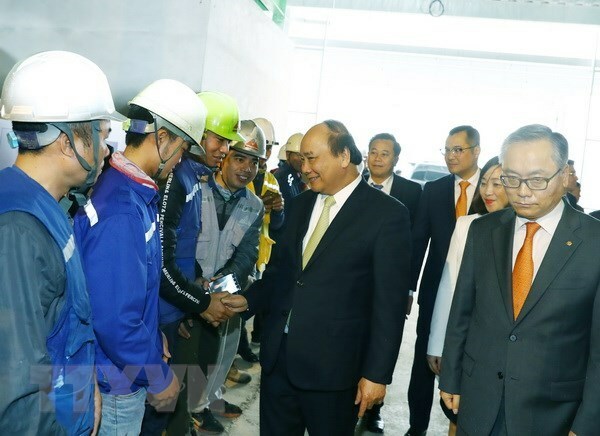 Visiting the park on February 22, PM Phuc said he hopes that it will be filled with investment activities at an early time, and become a big production centre of the capital city, thus contributing to the country’s science and technology development and bringing the added value to the economy. He asked ministries, sectors and the Hanoi municipal People’s Committee to speed up its construction so as to avoid missing any science-technology development opportunities. Specifically, the Ministry of Science and Technology (MoST) need to carry out measures to realise policies to attract more high-quality human resources, while the Hanoi People’s Committee should help speed up the land clearance process to quickly complete the park’s construction, he said. The Government leader also requested the MoST and related offices to soon grant investment licences to NIDEC Group, which decided to pour 400 million USD into the first phase of its two projects and plans to invest in three more projects with a total registered capital of 1 billion USD in the next stage. Located in Hanoi’s Thach That and Quoc Oai districts, the 1,586ha Hoa Lac Hi-Tech Park is expected to become a science city hosting investors in biotechnology, information – communication, new material technology, and automation. Modern infrastructure is being built at the park using the State budget and the official development assistance (ODA) provided by the Japanese government. As of late 2017, the park had 81 valid investment projects, with a total registered capital of over 66 trillion VND (2.9 million USD), on an area of 358ha.